Home Tags Posts tagged with "moneyball"
After an accident that left him needing the aid of a walking cane Brad Pitt shows now his fans that he is still good looking on the cover of the latest issue of W magazine. With his shirt unbuttoned just enough to reveal a flash of his chest, and sporting his trademark designer stubble, Brad Pitt looks every inch the Hollywood heartthrob. Brad Pitt can be seen on the cover of W magazine lounging on a chair by a swimming pool, smouldering at the camera. He appears to be winding down after a difficult day, with a drink in his hand and an undone bow tie slung casually around his neck. And the cover shot was not the only treat brad Pitt had in store for his female admirers. 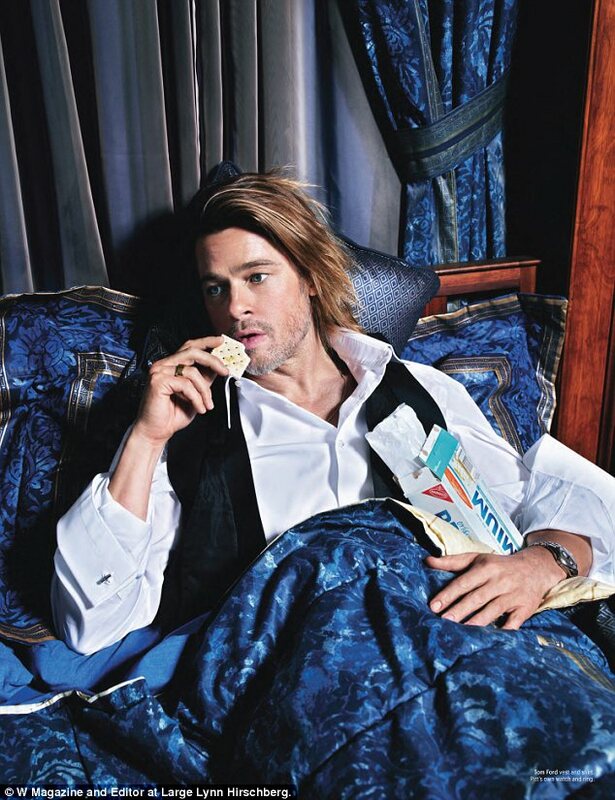 Inside W magazine Brad Pitt can be seen lying in bed under plush blue sheets, eating biscuits. Brad Pitt is still wearing a suit for the photograph, but his floppy brown hair is messy and his sleeves are loosely rolled up. He features on the front of the magazine for W’s Movie Issue, and is also interviewed by the publication about his latest movies The Tree of Life and Moneyball. Brad Pitt features on one of two covers the magazine has released for its February 2012 issue.